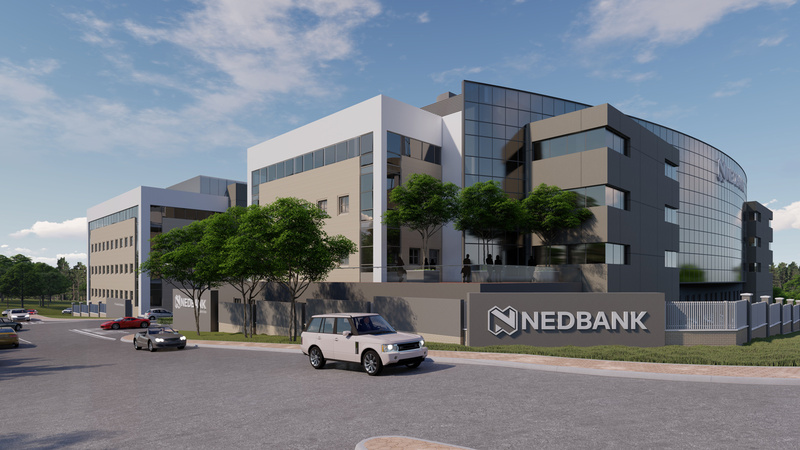 Situated in Constantia Kloof, Johannesburg, the project is being developed by Abland with Nedbank as the client. 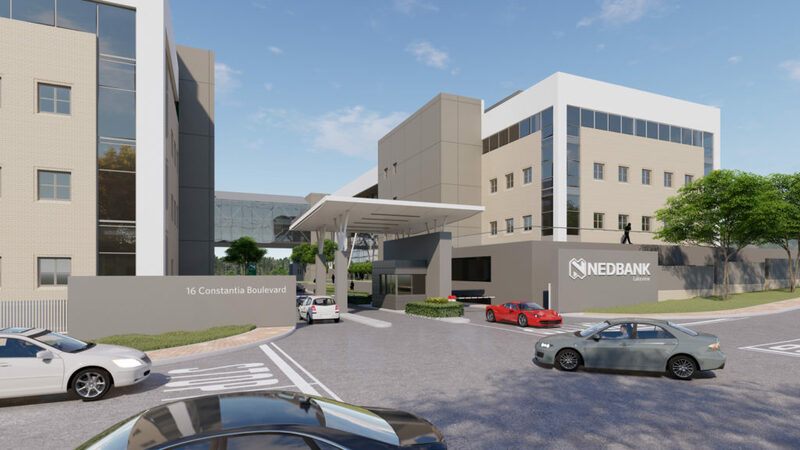 After Nedbank indicated their interest to go beyond the best practice requirements of a 4-Star rating, the project team with Solid Green Consulting as green building specialists, worked together to provide the client with a 5-Star strategy, and Lakeview Phase II is now targeting a 5-Star Green Star Office V1.1 As-Built Rating. This submission will be completed in December this year (2018) after practical completion, which is set for November. Working with a like-minded professional project team, developers and client such as those on Lakeview Phase II, who share common views on sustainability, made the project a pleasure to work on and allowed each professional to push for sustainable solutions within their area of expertise. As humans spend over 90% of their lives indoors, exposure to air pollutants can be far greater indoors than outdoors. The HVAC system implemented here therefore provides a high proportion of good quality outside air to counteract the build-up of indoor pollutants. The building prohibits smoking inside the building to further ensure optimum air quality; and only interior finishes with low Volatile Organic Compounds have been specified within the fitout. To achieve a high level of thermal comfort for the building occupants, the building was modelled in a simulation program. Various energy initiatives were also implemented to reduce the overall energy consumption of the building. As the behaviour of the building occupants is crucial to the building’s energy performance, energy submetering was installed for all substantive energy uses within the building, to facilitate ongoing monitoring and management of energy consumption; and a Building Management System (BMS) was incorporated to actively control and optimise the effectiveness of building services. Occupancy sensors are installed throughout the building to provide flexibility related to light switching and to prevent wasting energy in unoccupied spaces. The project also incorporates artificial lighting with minimal energy consumption, that provides optimum illuminance levels without being over designed. Hot water is provided by small high performance electric under-counter geysers installed in the kitchenette areas. The building has reduced its peak electrical demand by providing an ice storage system for the chiller plant. Instead of having a large chiller, a combination of a chiller and an ice storage facility has been designed. This system allows the building to have a chiller that is 50% smaller than a conventional building. The ice works as a thermal storage device: at night, the chiller runs to create ice and, during the day, this ice is used for the cooling system to supplement the chiller. Additional sustainability initiatives were implemented that focus on the reduction of potable water consumption, with the aims of easing demand on municipal water sources as well as contributing to more cost-efficient operations of the building. Water efficient sanitary fittings have been specified that help occupants to use water sparingly. Sub-metering for major water consuming systems is in place, to detect any leaks so that little to no water is wasted. Rainwater harvesting has been incorporated as an alternative water source for landscaping; and smart irrigation systems and indigenous landscaping have been incorporated to use water as efficiently as possible. Innovative sustainable initiative, over and above what is required by Green Star, have also been implemented for the project. The developer committed to certifying the project with multiple ratings – both Green Star Office V1.1 Design and As-Built certifications. As transparency in terms of a Green Building Premium is extremely important to help drive sustainability in the building industry, Lakeview Phase II completed the financial transparency criteria that will assist the GBCSA with market research and inform the public regarding the cost of Green Buildings. Making a difference in the Sustainability sector is to consistently lead by example and motivate for change,” Sherratt concludes. 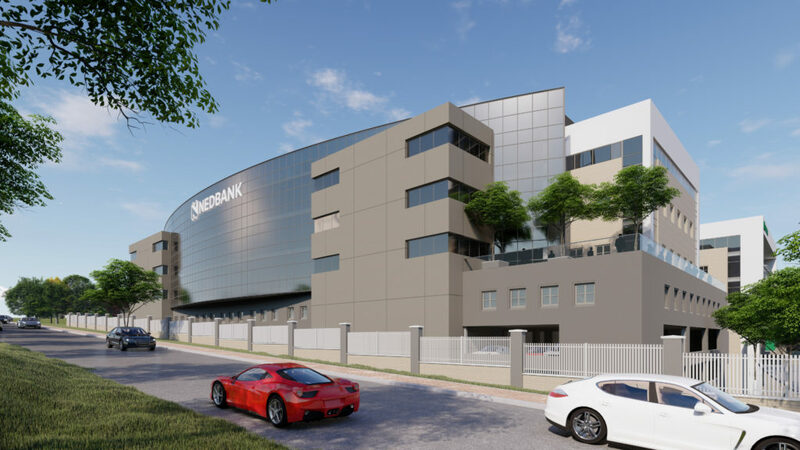 “Through the commitment and close collaboration of the developer, the client and the professional team, Lakeview Phase II successfully demonstrates how an office building can drive excellence in the South African construction industry. For more information about this project, see the project page for Lakeside Phase II.